Gorgeous turn-key home with wonderful features including fully owned solar system, cozy fireplace, gourmet kitchen with granite counter tops w/designer tile back splash. The luxurious master suite offers two closets, soaking tub, and dual vanities. Other fantastic features are AC, custom window treatments, a desirable, quiet location and wonderful community amenities. 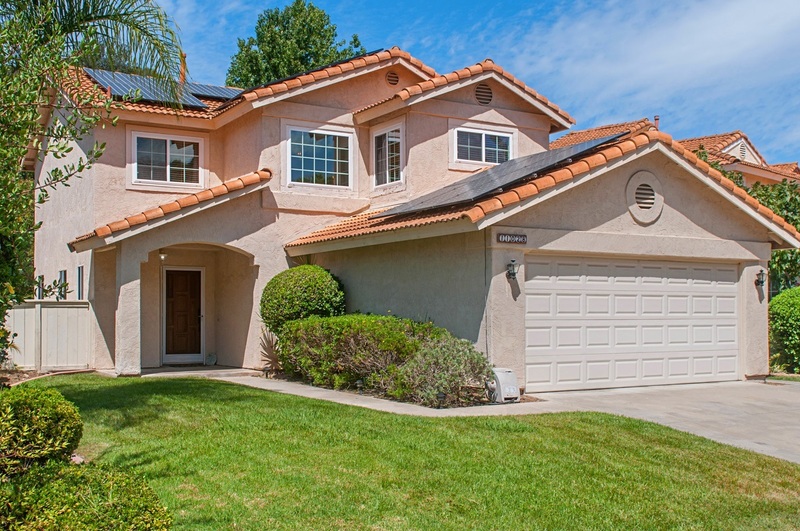 Located in the highly acclaimed Poway school district, and is close to shopping, restaurants and easy access to the 15., Gorgeous turn-key home in lovely Rancho Bernardo! This beautiful home has been meticulously maintained by the owner, offers a fully paid for solar system, and has no neighbors behind! The main floor is highlighted with beautiful laminate wood floors, a cozy fireplace in the family room and a gourmet kitchen offering SS appliances, granite countertops, and designer tile backsplash. The second floor offers three guest bedrooms and a luxurious master suite with two closets, large soaking tub, and dual vanities. Other wonderful features are AC, custom window treatments throughout, attached 2-car garage, and a desirable, quiet location with spacious backyard perfect for kids and adults to share together. Enjoy the wonderful community amenities: clubhouse, pool, spa, BBQ, tennis courts, recreation area and tot lot. Located in the highly acclaimed Poway school district, and is close to shopping, restaurants and easy access to the 15. This home will not last long! PLEASE SEE ATTACHED HIGHLIGHT LIST.